One of the most important decisions that farmers make every year is the selection of a package of hybrids to plant. When selecting a suitable hybrid package, yield performance and hedging of risk are important considerations. This is complemented by the hybrids' agronomic characteristics and disease tolerance attributes. Yield performance, stability and compensation ability. Prolificacy – multi-eared or a single-eared. Remember the yield and adaptability of a hybrid is the result of the interaction between a hybrid's genetics, the environmental factors and management practices that are applied. Select hybrids that are proven performers based on multi-season data from multiple trials across a large homogeneous area. It is about yield performance, stability and adaptability. New hybrids should be phased in gradually. Select a package of hybrids with a variety of maturity or growth classes to spread the risk. Include early growing season hybrids in your package if early harvesting is important. Consider Bt-hybrids if plantings are going to be late in the season. Prolific hybrids should be considered in the dryland areas with a variable or challenging climate and will generally deliver stable yields. 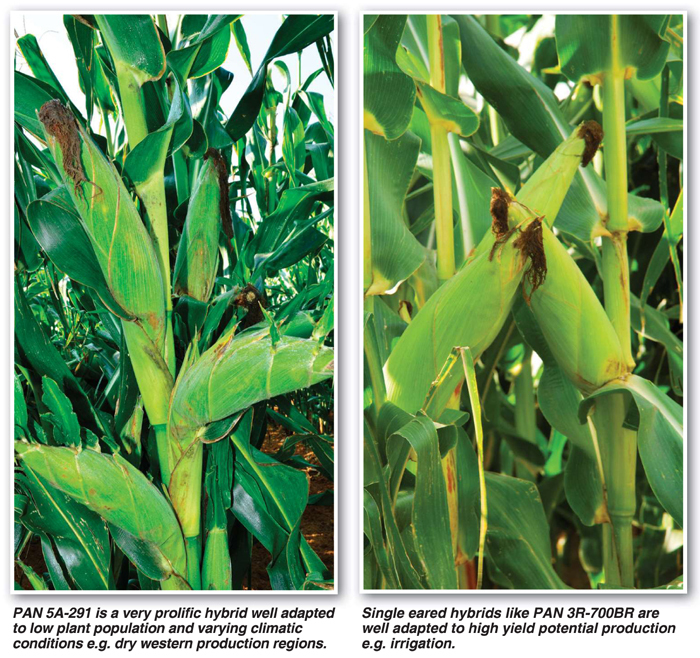 Single eared hybrids are better adapted to high plant populations and higher potential conditions. Article submitted by Christin Hunter, Marketing Communications Manager, Pannar. For more information, send an email to christin.hunter@pannar.co.za.